Happy Monday!!!! I hope you are all having a great day!!! 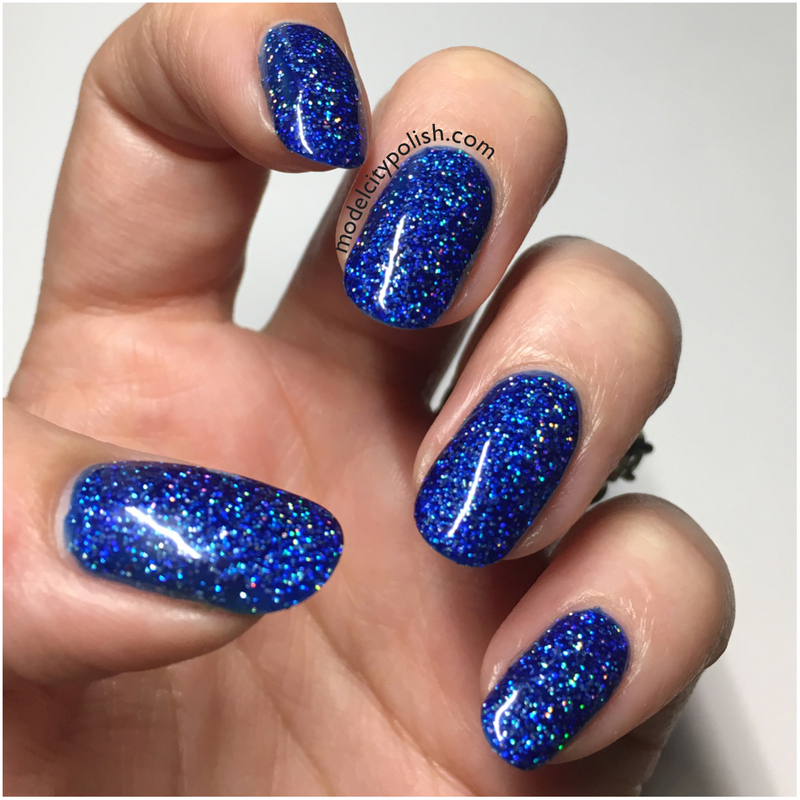 Today I have a gorgeous custom blue lacquer from Digital Nails to share with you guys. 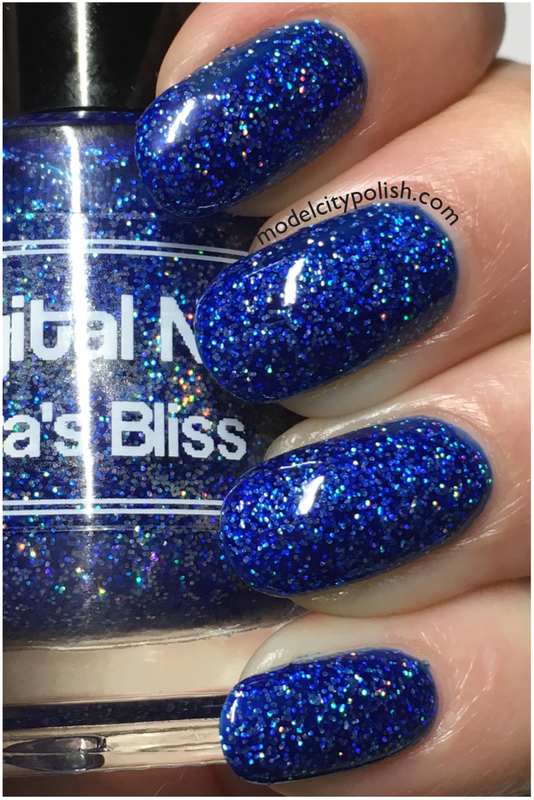 Zora’s Bliss is a gorgeous bright blue jelly filled with silver ultra holographic glitter. I absolutely love the sparkle in this one!!!! In my photos I am wearing two coats of Zora’s Bliss and one coat of clear. 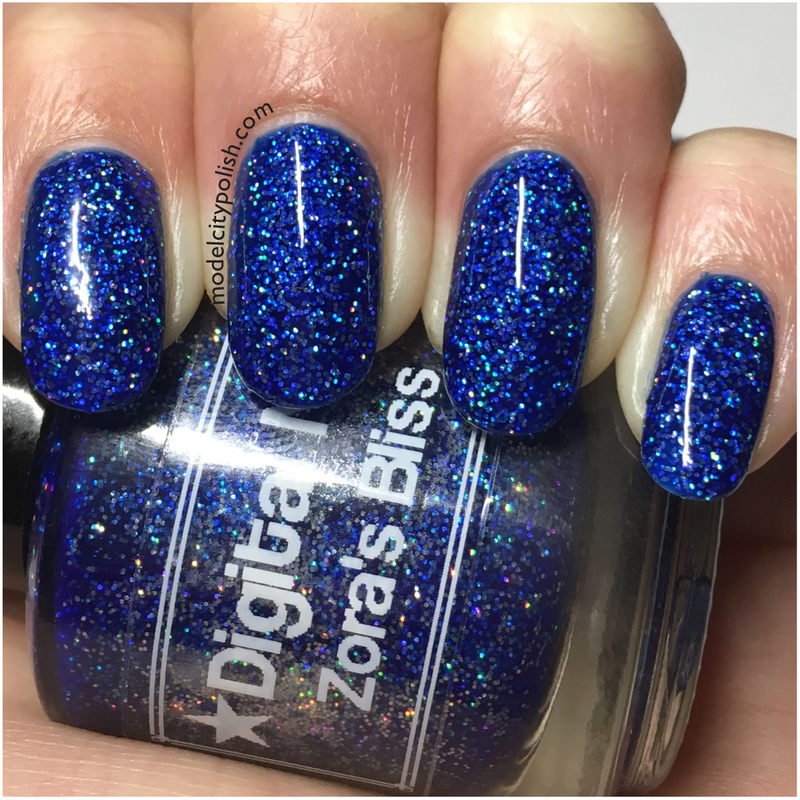 What do you guys think of Zora’s Bliss by Digital Nails? I love it!!! It’s blue and holo so how can I not! Thank you so much for stopping by this afternoon and I will see you all again tomorrow. What a standout polish. It’s so shiny it’s almost blinding. Love this shade of blue. 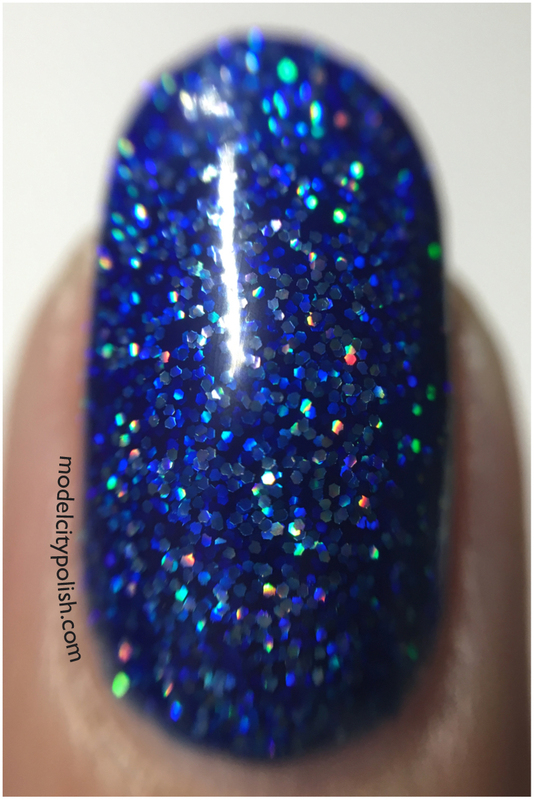 Show me a cobalt jelly with glitter and I’m going to start drooling. I love microglitters in tinted jelly base. SOOOO SPARKLY! This is just so dreamy! 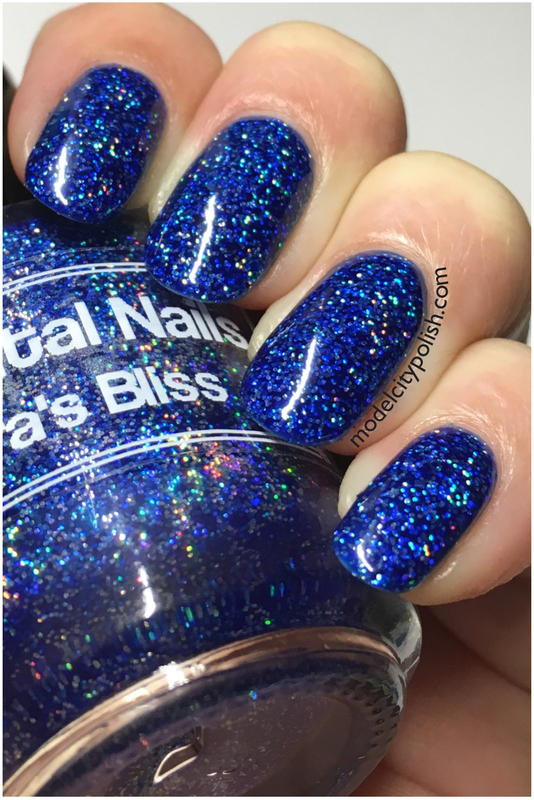 What a gorgeous blue polish! I love the sparkly goodness. WOW. I can’t even believe this is real. It looks like the sky on your nails. Gorgeous swatch and polish! I own a few Digital Nails polishes and really like them. Oh my!! This color is absolutely gorgeous!! I need to have this color! This is such a radiant shade of blue!